The FAA Knowledge Exam software that allows you to take true-to-form practice exams and get immediate feedback on the test areas that need more work. Tailor-made practice sessions improve your performance in the areas you need to concentrate on the most to pass the test with flying colors! 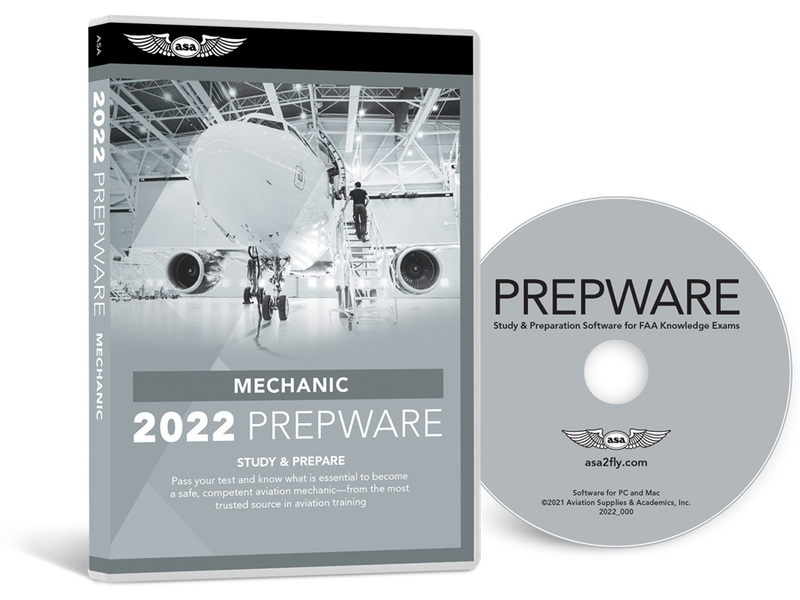 This Prepware covers all of the questions found in the AMT - General, Powerplant, and Aircraft Knowledge Exams. Review: It met expectations, however I would like the ability to load the software to my travel computer which does not have a cd drive. Pros: simple to study with this program. Review: Loved it. Used this product for my tests. got general 92%, airframe 98%, and Power plant 99%. This is an ideal study aid. Worked very well for me and frankly all who I've talked to about it. You'll be happy to know, I took the tests in December of 2012. I bought this package with all 3 test info together for a friend to study with that's how much I believe in this product. He is now studying up in Twin Falls ID for the A & P tests..
Cons: Only if it was free but would be the only differance. Don't think you'd be bussiness too long though! !